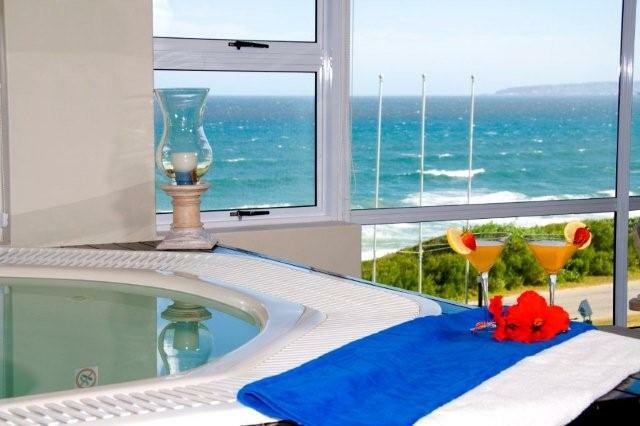 C’ the View Guesthouse, in the heart of the world famous Garden Route on the South Western Coast of South Africa, is a magnificent three-storey Mediterranean style home. 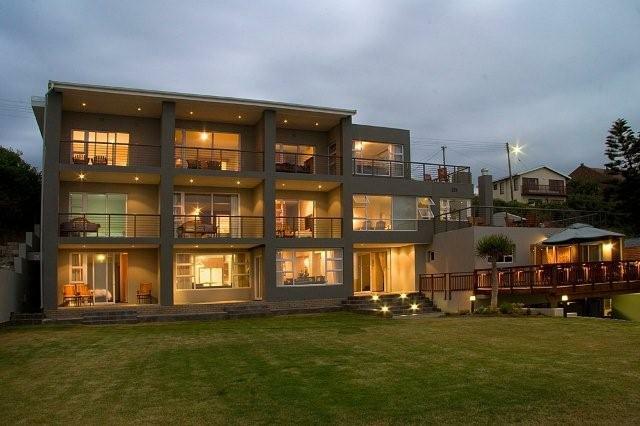 It's location ON the beachfront of Tergniet, a coastal village between Groot Brak and Hartenbos, ensures that all our bedrooms and entertainment areas are sea facing with sliding doors opening onto balconies with breathtaking views over the ocean. 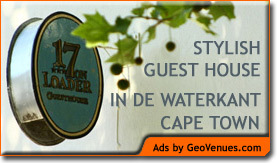 C’ the View is just 15 minutes from George airport. C ‘THE VIEW GUEST HOUSE IS THE PERFECT PLACE TO COME AND AKE MEMORIES.THE FRIENDLY STAFF AND SERVICE WILL MAKE YOUR STAY UNFORGETABLE. YOUR EYES WILL NOT GET ENOUGH OF THE SPECTACULAR VIEW OF THE OCEAN! WE INTEND TO MAKE OUR GUESTS’ STAY AS PLEASANT AND MEMORABLE AS POSSIBLE! THE AREA CATERS FOR THE ACTIVE LIVELY CROWD WITH BUNGEE JUMPING, SKARK CAGE DIVING AND WAVERIDING, (THAT IS JUST MENTIONING A FEW), TO THE TOURIST THAT JUST WANTS TO RELAX AND ENJOY THE BEAUTIFUL AND DIFFERENT VIEW’S OF THE SEA, AND EVERYTHING ELSE NATURE HAS TO OFFER. FROM PICNICS WITH ELEPHANTS, AND ELEPHANTS RIDES, TO SUNSET- AND WHALE WATCHING CRUISES AND SPA’S TO BE PAMPERED IN! FOR THE GOLFING ENTHUSIAST WE ARE SITUATED ONLY 15 -25 MINUTES FROM 5 GHOLF COURSES. OUBAAI, MOSSELBAY GOLF COURSE, FANCOURT(BRAMBLE HILL), GEORGE GOLF COURSE AS WELLAS PINNACLE POINT!